While you may be thinking that it is too early to consider Autumn/ Winter trends (we know the sun has just came out! ), we still can’t help but check out what we are all going to be wearing throughout Winter! Lace is going to be a massive trend and we love this wiggle dress, which would be perfect for a formal occasion in summer and will work all the way through to the Christmas party season! 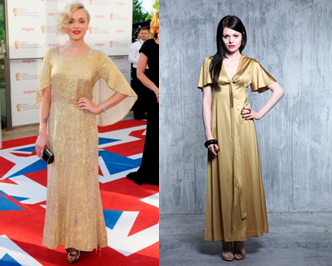 Fearne Cotton knows exactly how to rock her vintage! Her gold maxi is fabulous and you could be the same with our gorgeous gold vintage dress! This would be perfect for any parties planned over the Jubilee weekend! White dresses took over many catwalks for Summer 2012! Far from looking dull, the shape of the dresses made them look sleek and glamorous! Also, these white pieces will look gorgeous with all those newly acquired tans from the past few days! 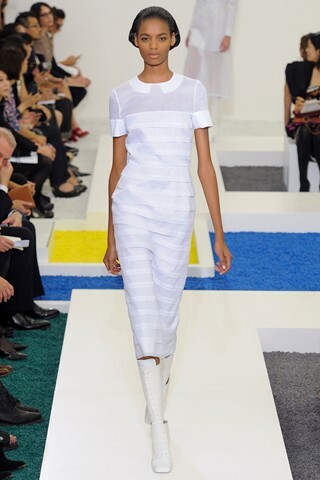 Check out these dresses from Jill Sander and Oscar de la Renta to win you over to the power of white. Here at Rock My Vintage we don’t want to disappoint so take a look at our fabulous white TBA dresses, just waiting to be worn to a summer garden party! So petal, it is the start of the Chelsea flower show which always makes us want to get outside and go green! 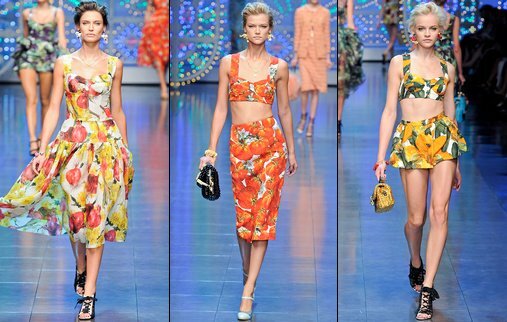 To celebrate this blooming marvellous show, here are our top floral frocks to get you in the mood. Chloe floral shirt, RMV Vintage Style Floral Maxi, Valentino Floral Maxi, RMV 1970s Style Floral Bell Sleeved Summer Dress, Christopher Kane Floral Shift Dress. We have spied some sunshine lurking behind the clouds and we are therefore declaring it officially summer! As such, our thoughts turn to boats and beaches and harbours and fishing and sunbathing and all things nautical and nice. Here are our top picks for nailing beside the seaside style…. A kooky take on the fail safe stripe – vertical, mink and a bit broken. With this vintage style prom dress you can dare to be different! Seaside blue is essential but think about jazzing it up with a bold polka dot print mini prom and an oversized hat to make a Saint Tropez look. A vintage style maxi dress is a must but work this season’s colour trend to great effect – dont forget to contrast block colours with a punctuation of colour. This green twisted belt finished this canary yellow maxi off a treat! Five A Day The Fashionable Way! 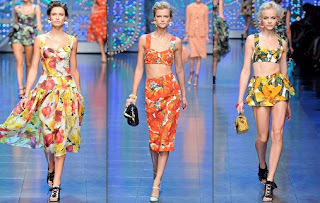 We all know that the secret behind a perfect body for bikini season, lies in the famous 5-a-day...but perhaps Dolce & Gabbana offer us a clever alternative, with their fruit and veg print collection for SS'12. Drop the salad bowl and enjoy your gelato while wearing your 5-a-day instead! Fruity! 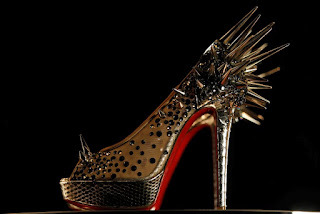 Louboutin takes over the Design Museum! If you are into your shoes (aren’t we all) then the Christian Louboutin retrospective exhibition at the Design Museum in London will be ideal for you! It not only aims to show his collection of shoes but it allows the visitor to see his progression from his teenage inspirations to the renowned shoe designer he is today! A must see for any fashionista!